On Monday 19 June 2017 staff and volunteers from Nepacs were given recognition for their long service and outstanding contribution to supporting prisoners and their families in the north east. Nepacs introduced the Shining Star Awards in 2017 with a new range of categories and for the first time gave service users the chance to nominate their People’s Choice Award winner. This year the awards were presented by Nepacs’ new President Professor Stuart Corbridge, Vice Chancellor and Warden of Durham University, at the charity’s annual development and celebration event. 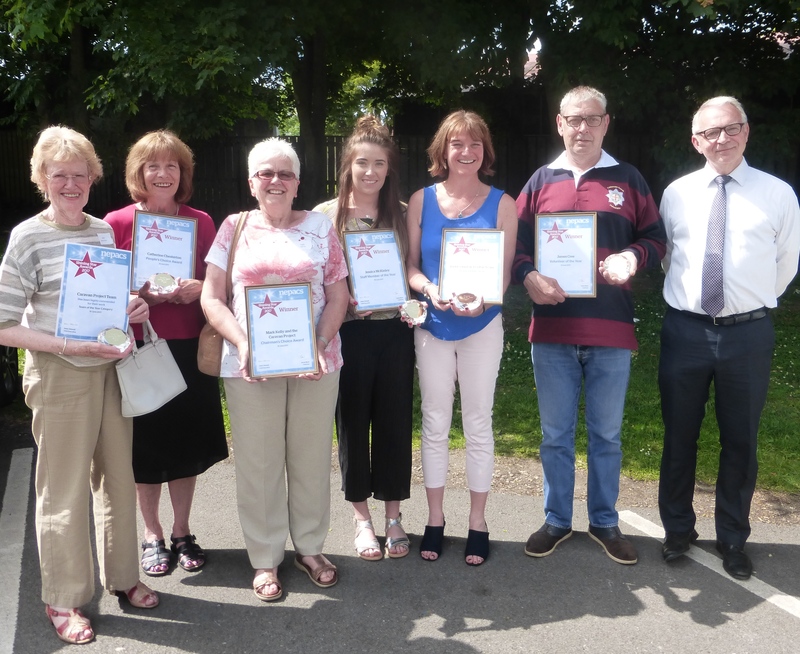 11 long service awards were presented and 33 Shining Star certificates of commendation were presented, including five winners (pictured above). Some of the winners of the long service awards are also pictured left. Helen Attewell, chief executive of Nepacs, said: “The Nepacs’ Shining Star and long service awards are our way of honouring and thanking our staff and volunteers for their continued dedication and outstanding contribution to making a real difference to the lives of families affected by imprisonment. We are particularly delighted with the number of nominations made by our service users for the People’s Choice Award – which shows how much our service users value and rely on the support they receive from our staff and volunteers to help them to cope with their difficult situation.